Charge your iOS device while listening to Lightning Audio headphones with the Belkin Lightning Audio + Charge RockStar. 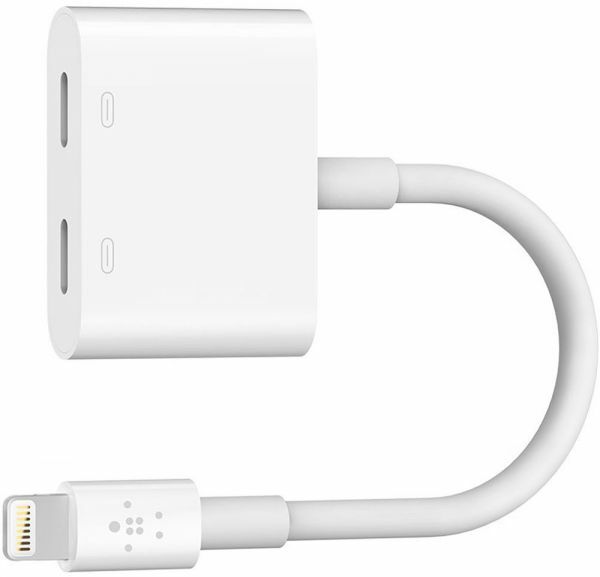 This accessory splits your Lightning connector in two, enabling you to charge devices like the iPhone 7 and 7 Plus through one port and listen to audio through the other. 12W passthrough charging lets you replenish your battery quickly, and 24-bit, 48kHz lossless playback helps maintain audio quality. The Lightning Audio + Charge RockStar is Apple MFi certified and is compatible with all MFi-certified Lightning cables and Lightning Audio headphones.